We recently had the opportunity to speak with Wizards of the Coast about the next iteration of the annualized Duels of the Planeswalkers franchise: Magic the Gathering Duels of the Planeswalkers 2014. It was pretty clear the bigger reveal will be happening later this year (likely at E3); however, Wizard did shed light on a few interesting tidbits. At this time, there are still no plans to provide a full deck editor: a highly requested feature. 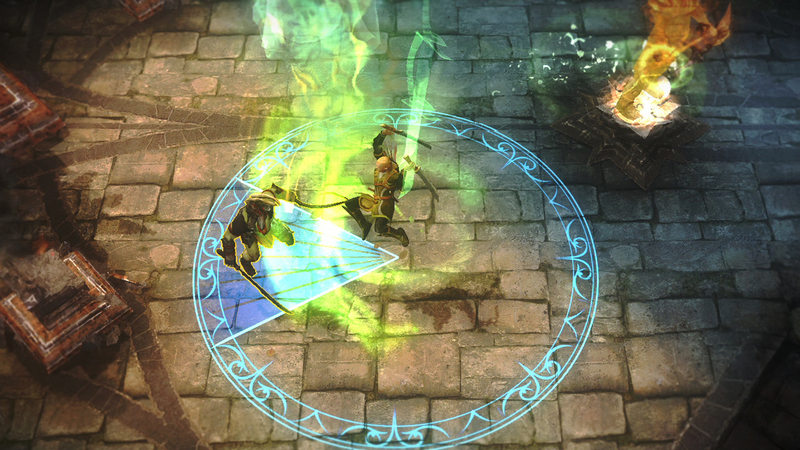 The Duels franchise is intended to give players an interesting cross section of the Magic the Gathering Multiverse. As such, decks are prebuilt and can be customized within that context with unlockable cards. Duels is the gateway drug that moves players to Wizards other Magic the Gathering Properties when they want a more in-depth experience. This year, Duels will feature another new mode, along with the standard battles and challenges. Players will get a sneak peak at cards from the 2014 Core Set along with an assortment of cards from previous blocks. Dragon’s Maze and the rest of the Ravnica block will not be featured. Wizard wasn’t willing to divulge any secrets as to new card mechanics we could expect to see with the game. As usual, the cards will all be labeled D14 to avoid confusion among new players, instead of different icons highlighting the blocks they come from in the Magic Multiverse. The game’s menu interface looks to have seen a nice facelift but that’s about all we can comment on for now. The game looks to be shaping up nicely. In a sense, it has turned into the Madden of XBLA. We know to expect it with a full new roster, some nice cosmetic tweaks, and a highly rabid fan base each year. Duels is perfect for the newcomer to the Magic Multiverse and especially perfect for someone who wants to try multiple types of decks without having to spend hundreds of dollars procuring the cards. It simplifies the rulesets by automating it and letting you see exactly what is allowed. 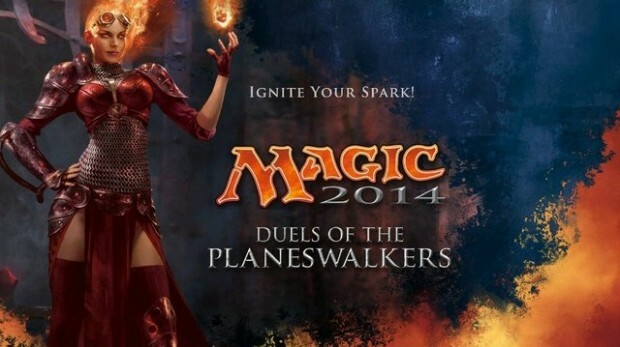 Expect Duels of the Planeswalkers 2014 to launch sometime this summer prior to the 2014 Core Set. In the meantime check out our Review of Duels of the Planeswalkers 2013 and our Challenges and Encounters Guides.